Socialists don't usually like to use the word 'charisma'. It pays too much attention to the individual and not enough to the circumstances that create those individuals who compel the attention of others. But it is tempting to make an exception for Edward Said. Anyone who heard Edward Said speak in recent years could not but be mesmerised by the breadth of his vision, the depth of his learning, the way his compassion for Palestine was actively helping to universalise its struggle, his anger at the rulers of the world. Here was this very frail man, who for the last 12 years knew that he was dying from leukaemia, speaking in sober, almost subdued tones. Never a hint of demagogy, he had just an obvious, moral compunction to tell the truth. He might illustrate his talk with a quote from a Jane Austen novel, or with a passage from the Italian Marxist Antonio Gramsci, or, quite remarkably, at Westminster Central Hall in London a couple of years ago, to an audience of nearly 1,500 people, with a series of huge maps to demolish the fraud behind the Oslo 'peace' agreement (laced with a stinging indictment of the Palestinian leadership who had allowed the Israeli map makers to outmanoeuvre them). There is a wonderful irony that the man who made a lifetime study of the historical misuse of the power of knowledge by the ruling classes in the west was himself able to put his own powerful knowledge at the disposal of the dispossessed. Of course, this meant mainly the Palestinians. But what had really excited Edward Said at the turn of the new century was the way in which Palestine had globalised. The Palestinian flag now has to adorn worldwide protest against globalisation and war. As he wrote in his last essay 'Dignity, Solidarity and the Penal Colony', with death fast approaching, 'In the past six months I have lectured in four continents to many thousands of people. What brings them together is Palestine and the struggle of the Palestinian people which is now a byword for emancipation and enlightenment, regardless of all the vilification heaped on them by their enemies. This essay drew its inspiration simultaneously from the cascading horrors of everyday life in Palestine and the troubled mind of the dissident Jewish Czech writer Franz Kafka. 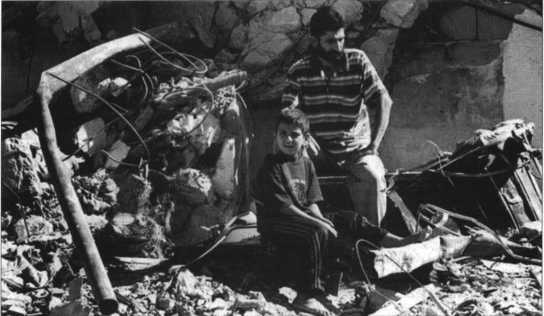 But Edward Said went to his grave confident that the Palestinians would never give in to it. Edward Said read, absorbed and fully appreciated much of the greatest literary, philosophical and political works that underpin what we sometimes call western civilisation. But the word western, as a description of this civilisation, troubled him deeply. It suggested a flaw. He summoned all his erudition, eloquence and gravitas to expose it. His objection was that western civilisation had misused its knowledge. He spells it out in his most important work, Orientalism. Some left wing critics have baulked at the influence of postmodernism on the book. But, although this does make the book sometimes difficult to read, the sheer power of the argument breaks through. The book is not just about imperialism and colonialism. Edward Said is getting at something far deeper, with a much longer history. It is about the very foundation stones of western civilisation itself. Napoleon had brought with him virtually an entire French university. Its scholars already had knowledge of Egypt, that is, of its classical past. They understood that European civilisation had roots in this part of the world. Its occupation of the territory helped lay claim to those roots. The thinking was this: the natives have missed out on their own history. Never mind. An additional advantage of the occupation is that the natives can now be educated about their own past. This might have been more convincing if the great archaeological finds that the Europeans then began excavating had ended up in Cairo's museums rather than those of London and Paris, or if the 'natives' were, in any sense, to be treated as equal partners in the rediscovery of the past. But this was not the intention. The real significance of Europe's intervention in Egypt would become blindingly obvious later in the following century with the digging of the Suez Canal. As a Thomas Cook brochure helpfully pointed out (yes, it's the ancestor of our own T Cook--the travel industry was one of the great entrepreneurial initiatives of the day) the Pharaohs had begun a canal project. So once again Europe was simply recalling the glories of the ancient bygone age on behalf of the natives. Or was it really another European crusade with modern technology? Except of course, as Orientalism points out, when Nasser, Egypt's first genuinely independent nationalist ruler, had the effrontery to take over the canal in 1956. Then all the foul racism locked into western civilisation came hurtling to the surface. Islam had posed a major problem for the western civilising mission. The French and the British had been ready to celebrate every earlier glory, but about this one, they were silent. Not that the western scholars were ignorant. They knew that Islam had carried the torch of civilisation after the fall of Rome 1,400 yeas ago. Orientalism reports on Gibbon in his classic history, Decline and Fall of the Roman Empire, marvelling at the speed at which the Islamic revolution had finished off the Roman Empire. But to remind themselves, and the natives, of Islam's former glory would be to undermine the whole project. This was western civilisation rediscovering its roots to enforce its power and authority in the emerging modern world. There was no way it was going to recognise an eastern civilisation equally. Islam had to be marginalised. The 'western' in western civilisation takes its debut, at least in part, from this ousting of Islam. Was this not what the Crusades had been about, 1,000 years ago? Less well known is the way one of the greatest artistic leaders of the European Renaissance, Dante in Florence, humiliates the memory of Islam's founder Mohammed. In Dante's Inferno, the eternal punishment inflicted upon Mohammed for being an 'imposter' is, as Edward Said says, a 'peculiarly disgusting one', the detail of which the reader here will be spared. Dante wished to characterise the 'Orient as alien...and incorporate it on to the theatrical stage...for Europe'. Islam is turned into the outsider against which 'the whole of European civilisation from the Middle Ages on is founded'. Palestine's most accomplished and brilliant spokesperson, then, should also be remembered for his exposure of the roots of the west's Islamophobia. The worldwide anti-war movement that has begun to forge an extraordinary coalition between Muslims and the reviving secular left is itself an unintended tribute to him. The Palestinian flag helps bind together this unlikely coalition. 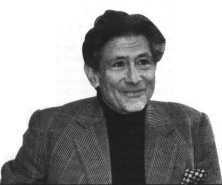 Edward Said knew more than anyone else that the Palestinians could not defeat Zionism and its US backers by themselves. The more that the global anti-war movement rallies to Palestine, the greater the prospect of unleashing the wider forces necessary to bring Zionism crashing down.